Get Little Reader Touch on your Android device! - . :Early Learning Community:. 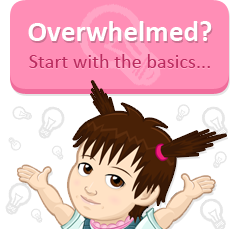 BrillKids Forum > BrillKids Announcements > Get Little Reader Touch on your Android device! Get Little Reader Touch on your Android device! EMAIL BULLETIN SENT OCTOBER 4, 2013. Get Little Reader Touch on your Android™ device! Already have Little Reader (PC)? Enable iAccess for Little Reader Touch! Great news for Android users - the Little Reader Touch app is now compatible with Android devices! What is Little Reader Touch? Little Reader Touch is a multimedia learning app designed to help parents teach their babies and toddlers to read. Little Reader (PC) license key owners can play their curriculum lessons from Little Reader Touch once they enable iAccess. What's the difference between Little Reader (PC) & Little Reader Touch? Little Reader Touch supports all Android devices and requires Android OS 4.0.3 or later. Download the app for FREE on Google Play and try it out now! Already have Little Reader (PC)? Enable iAccess for Little Reader Touch! If you already own a Little Reader (PC) license key, all you need to do is enable iAccess so you can download and play your courses from your Android OR iOS device! Once you've enabled iAccess, open the Little Reader Touch app, go to Download Lessons > Courses and sign in to your BrillKids Account to download your lessons. NOTE: You must be a licensed user of any Little Reader (PC) curriculum in order to access that curriculum on your Android or iOS device through iAccess. All content © 2013 BrillKids Inc. All rights reserved. Re: Get Little Reader Touch on your Android device! Thank you, thank you, thank you, thank you!!!!!!! How lovely, it will be so easy to take with me now! BrillKids Team, you're the best! Awesome, that's wonderful news. I have been waiting for this. Just to confirm - when it says All you have to do is enable iaccess this means buy it? The shop refers to apple only, not android, so just making sure I'm doing the right thing. Hi Jemi, yes, enabling iAccess is done by purchasing it from the BrillKids Online Shop. 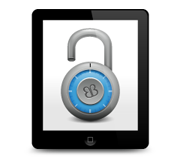 Do make sure that when you buy iAccess, you are signed in to the same BrillKids account where your Little Reader license key(s) is/are stored to enable iAccess successfully. There is only one iAccess product in our shop and it applies for both iOS and Android. We'll update the page to add the Android information as soon as possible. 1.) May i know is there a plan to make Little Math and Little Musician to use on Apple and Android device? really looking forward for this. 2.) Every iAccess can use for 3 Apple devices. I already use up all slots, to add in one more Android device. Does it mean i need to purchase one more iAccess? We're sorry, but even as we plan on developing Little Math and Little Musician for use on mobile devices, these apps are not going to be released anytime soon (not even within a year). For your second question, each BrillKids account may only have 1 iAccess - that's the rule. And each iAccess can only allow course downloads on 3 mobile devices. Buying a second iAccess isn't an option because of the first rule. But if you wish, you can uninstall Little Reader Touch on one of your older devices and write to us at Tech Support (http://support.brillkids.com) to help you free up a record for one of your newer devices. when i click for brillkids shop(to buy iaccess) it gets redirected to our indian website where there isnt iaccess available! how am i to proceed to get iacess?? Hello Vani and anyone else who would like to get iAccess in India! At our Brilliant Kids website, there are contact numbers for you to call if you would like to inquire how to go about purchasing iAccess in your country. Please contact our partners personally, and they will be more than happy to assist you. Synergy Education International Pvt Ltd.
Can I use LR on my Kindle Fire?